The crown has been the flagship of toyota (lets not venture into Lexus here) for around 62 years now. It’s the full sized Japanese luxury sedan, & the choice of Yakuzas and VIPS! has been the longest running luxury sedan along side its other Japanese rivals (although some of them who have fallen) like the Nissan Gloria/Cedric Honda Legend, Mazda Luce and Mitsubishi’s Debonair. This year, the Tokyo Motor Show 2017 is to be held at Tokyo Big Sight. The theme of this year’s show is “Beyond the Motor.” The Crown’s Fifteenth Generation, (S220) crown Concept will have its debut in this auto show. This will be a vehicle developed in pursuit of driving performance and connected technology. It features the blend of the storied Crown tradition with its birth in 1955 and the innovation to be expected in the Crown in a next generation mobility society. We have heard about the TNGA (toyotas new global architecture) and the crown will be a completely redesigned model on this platform for future series. This will bring the innovation of better rigidity, safety, and road feel and performance in new future cars. Toyota hopes to provide new value to customers by utilizing big data that is acquired from DCMs installed in Toyota vehicles. The DCM will come standard in the commercial model of the Crown Concept. The car will have innovative computer technology that will help with the maintenance of the car and provide ingenious driving aids with a focus on safety performance and usability of the car. One of the interesting thing mentioned in the Crown concept is that it features a new vehicle-to-vehicle networking function called ITS Connect, which stands for Intelligent Transport Systems. 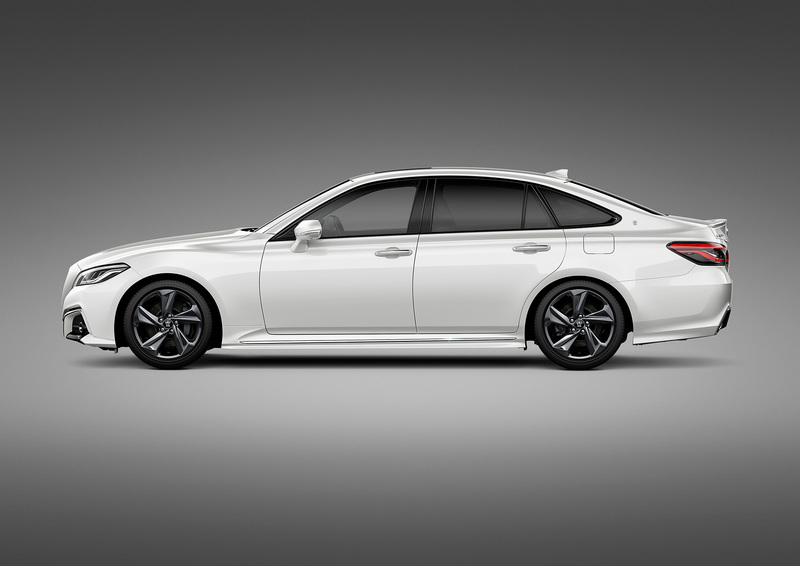 However we may agree that from the side profile it shares a lot of its design ques from the new generation Toyota Camry. Measuring 4,910 mm long, 1,800 mm wide and 1,455 mm tall, the Crown Concept is 25 mm longer and 5 mm taller than the current model; its 2,920 mm wheelbase is also 70 mm longer, giving it more inside cabin space. The engine related information is however still to be revealed but so far toyota has only provided us with the dimensions of the new crown generation as follows. Stay tuned to our facebook page and website to get more updates on Tokyo Motor Show 2017.